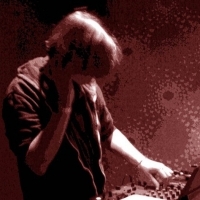 Andy Tau is the trance and progressive alias of Andy MacDougall. Over the last few years Andy has been releasing trance and progressive under the pseudonym Andy Tau and Trilucid, with regular support from top DJ's and a string of succesful releases on several high profile labels, as well as tracks featuring on Trance Nation mixed by Andy Moor, Gatecrasher Anthems mixed by Paul van Dyk, Trancemaster 7001 and many more. Andy is also the A&R for Infrasonic Progressive records and DJ's regularly. As well as his involvement in trance Andy is also an accomplished house and techno producer releasing music as Citizen 42, with several tracks lined up for release throughout 2010. He is also a sound designer, mastering engineer for several labels, runs a music blog with his friend Kevin Bogaard (Tracer and Paria Records owner) and is a studio engineer as well as producing drum & bass, dubstep and breaks in what little down time he has.